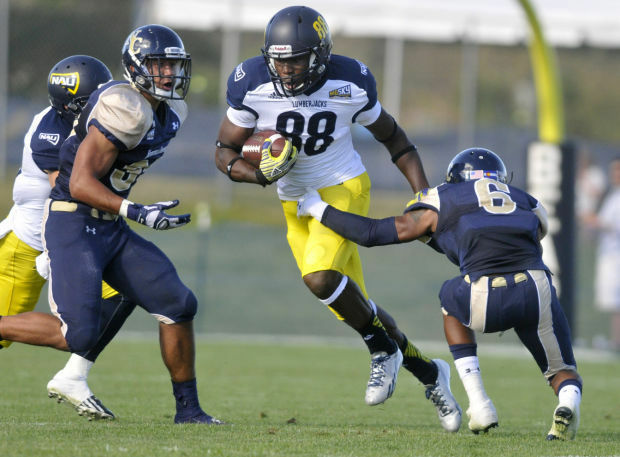 It’s not often an FCS team is favored when facing an FBS program, but in Northern Arizona’s opener against the UTEP Miners on Saturday, it is pretty close. When looking at how UTEP’s 2017 season went, Northern Arizona’s chances make sense. 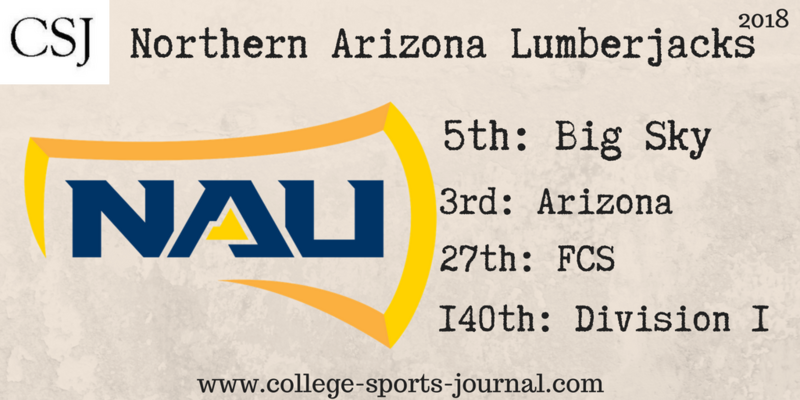 The Lumberjacks although lost their last two games and finished with a 7-5 record. The Lumberjacks return 19 starters and 39 letterwinners from last season’s squad that earned the program’s sixth NCAA FCS Playoff appearance. Key Player: QB Case Cookus directed an NAU offense that finished ranked 14th nationally in total offense (448.4 yards per game), 26th nationally in scoring offense (32.1 points per game) and eighth among FCS leaders in passing offense (312.3 yards per game) in 2017. The now-junior has posted 3,413 yards, while completing 58.4 percent (253-of-433) of his pass attempts and adding a total of 22 touchdowns against just six interceptions. Fantasy Bonus Baby: WR Emmanuel Butler enters this season just two touchdowns and 49 receptions away from becoming the program’s leaders in both categories. Look for him and Cookus to connect often in this game. UTEP went winless last season with an 0-12 record and was ranked last out of 130 FBS programs in total yards of offense, offensive yards per game and points per game — scoring a mere 11.8 per contest. 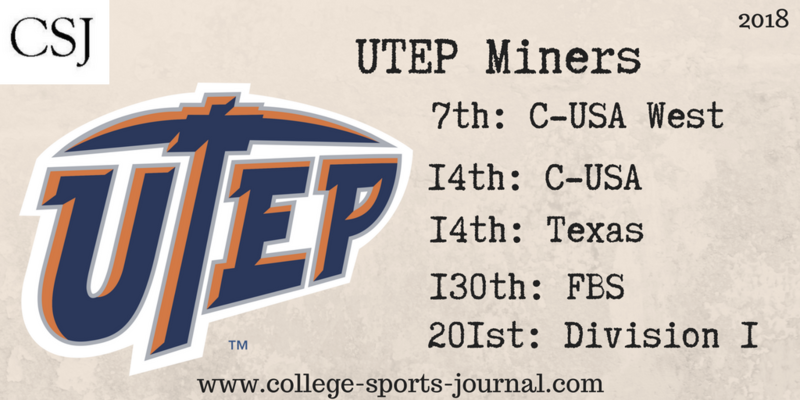 The Miners winless last season was a the first zero win season since 1973 and the fourth time in school history. The Miners were the only winless FBS team in 2017. Dana Dimel takes over as the 26th head coach in UTEP football history against Northern Arizona. Dimel has posted a 30-39 record as a collegiate head coach with stints at Wyoming (1997-99) and Houston (2000-02). Key Player: S Nik Needham is the top defensive returner with 59 tackles (28 solo), eight pass break-ups, one sack, one interception and one fumble recovery. He will look to help what should be a pass happy Lumberjack offense. Fantasy Bonus Baby: QB Ryan Metz will enter his senior campaign ranked No. 10 on the program’s all-time completion list with 275. Metz is 23 completions away from the No. 9 spot. Metz has also tossed 23 scores during his career, needing one to crack the program’s top 10 list. Metz has also been responsible for 26 touchdowns, needing eight to crack the school’s top 10 list. Expect the Miners to pass a lot in this game to help Metz’s statistics.